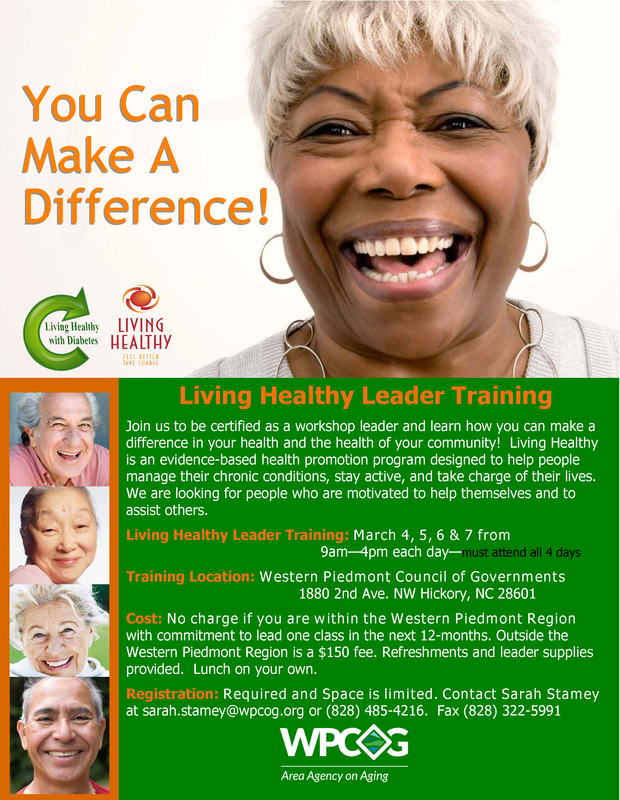 There is no charge to attend the 4 day training if you are within the Western Piedmont Region with commitment to lead one class in the next 12-months. Outside the Western Piedmont Region is a $150 fee. Refreshments and leader supplies provided. Lunch on your own.